Just A Little Stitch: Look who's pieced! So I planned and planned, and wrote some lists, and planned some more about all the tings I want/ need to do before Christmas (and the inconsiderate people who decided to have their birthdays in December) and, well, it turns out that there might not be enough time to get it all done before Christmas! With my new found emergency motivation I dragged out Fifi's quilt and got to work, and look who's pieced together now! 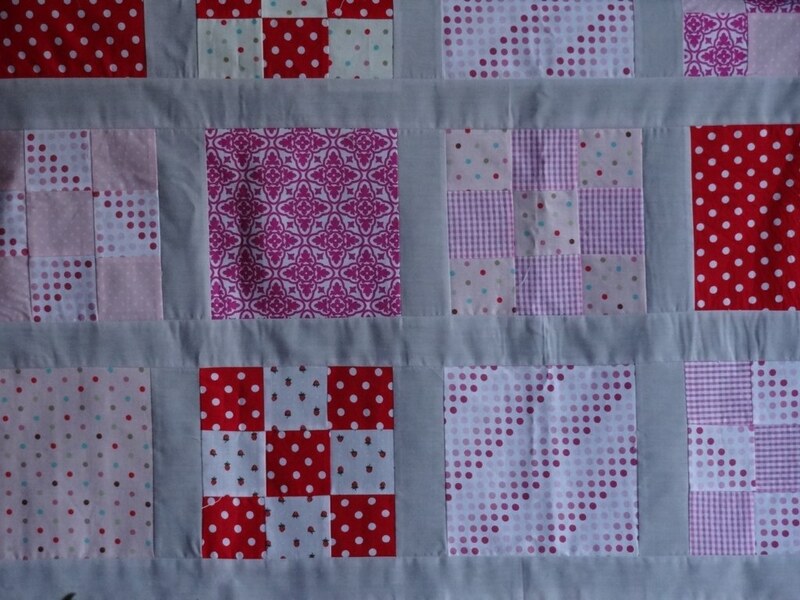 I love the pinks and red in this quilt, and whilst there is one or two blocks I would reconsider if I was to repeat it, I think they all work pretty well together. 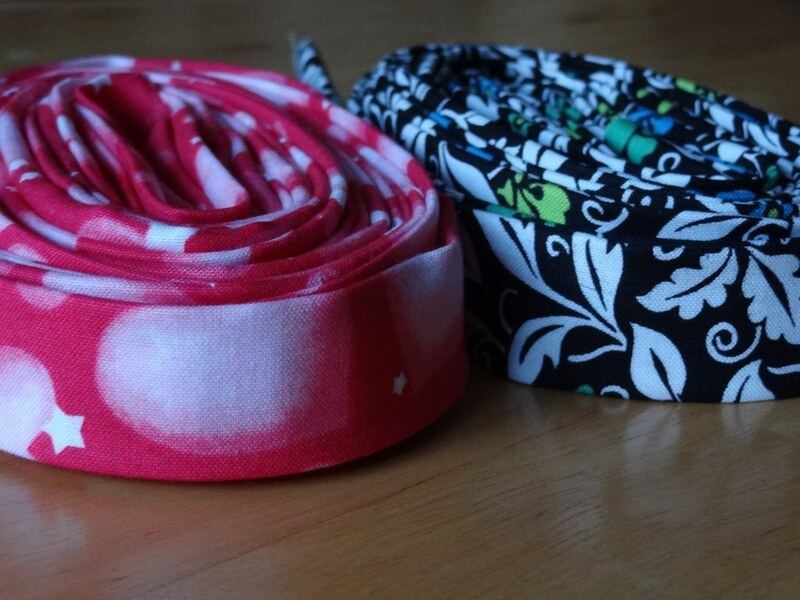 Last night I also squeezed in time to put together the bindings for Fifi's Nine Patch and for the Mystery Mix Tape, which now needs to be quilted and bound asap as the recipient was born a week early at the weekend! 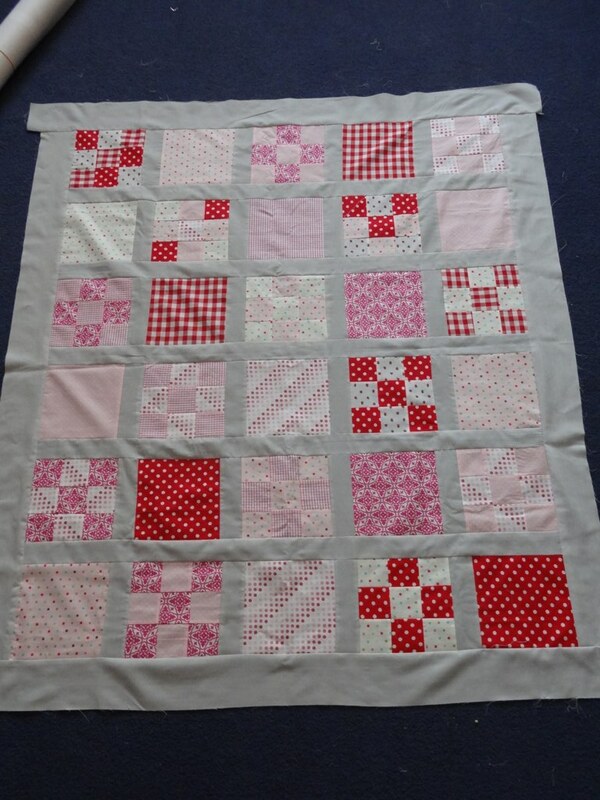 That quilt looks lovely - the pinks and reds go really well. I am starting my Christmas makes in August next year - PLEASE REMIND ME!!!! !